Birds & Beans® Coffee Roasters | What is Bird Friendly Coffee? Hi. We want to ask our local store https://www.facebook.com/countryairemarket if they would consider stocking your coffee. I do have a bag of your American Redstart Light Roast, received from Tom Bihn, one of your Seattle supporters. Would you be able to send me a brochure or two, something I can show the staff? Thank you. That’s great – thanks – we will contact you with details. Are you saying that beyond the Smithsonian, there is no certification authority for bird-friendly coffee beans? I currently buy Starbucks beans because I like the taste, but if Starbucks does not use bird friendly beans I will absolutely not buy its beans in the future; I will also make sure everyone I know on social media is aware of the company’s lack of concern on this issue. Yes, that is what we are saying! The Bird Friendly certification is operated by the Smithsonian Migratory Bird Center (SMBC). They developed the criteria based on science and conservation principles. It is monitored by trained organic inspectors and administered by the SMBC. 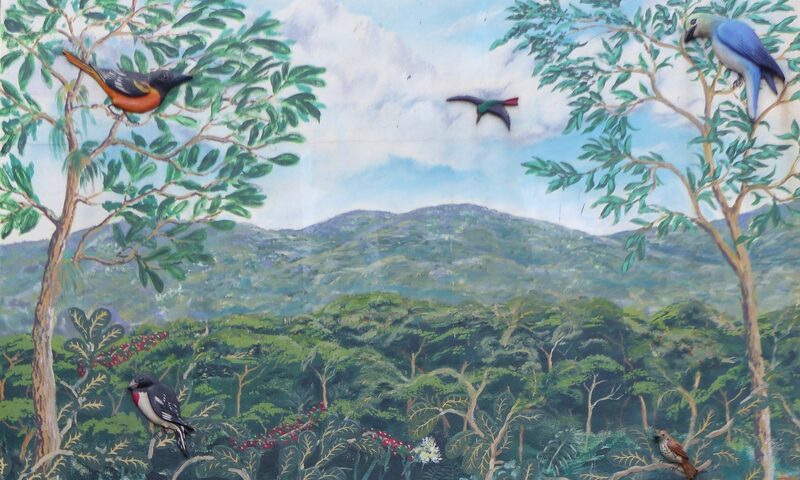 When we investigate new origins of coffee we ask if it is Bird Friendly. We are almost always told it is Bird Friendly. So we ask if it is certified or certifiable. We are almost always told it is certifiable. So we ask the SMBC if they would certify it and they almost always say no. IMO, with some verifiable exceptions, if it is not SMBC BF certified it is almost always greenwashing.